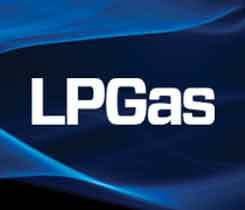 Williams and Targa Resources Corp. agreed on new natural gas liquids pipeline projects that will link the Conway, Kansas, and Mont Belvieu, Texas, markets. 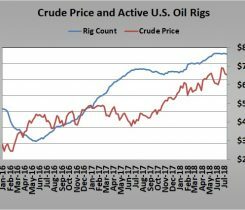 Last week, U.S. crude production hit 11 million barrels per day for the first time ever. 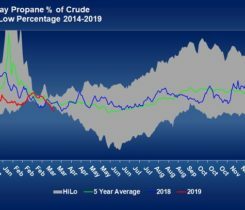 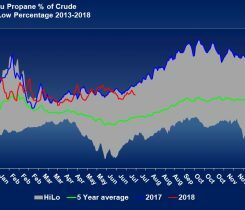 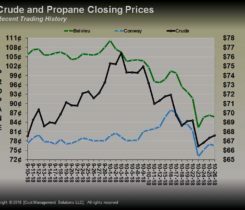 Over the last year, propane has been pulled higher by rising crude prices since propane’s relative value is not keeping up with the rise in crude’s price. 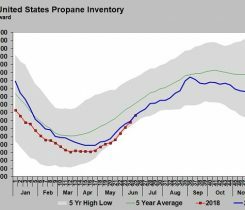 For the foreseeable future, it appears Conway is going to be overwhelmed by supply.